Maintaining a website and/or blog often requires an editorial process. That’s why WordPress.com is rolling out a new tool to its mobile apps. Now, WordPress.com users can quickly see revision histories, even on handheld devices. It’s organized by date, and includes the revision’s author, as well as a count of the additions and deletions. To see previous revisions, just tap on the list. In order to pick-up where last writing, just hit the Load button and view the page or post in HTML or visual format. 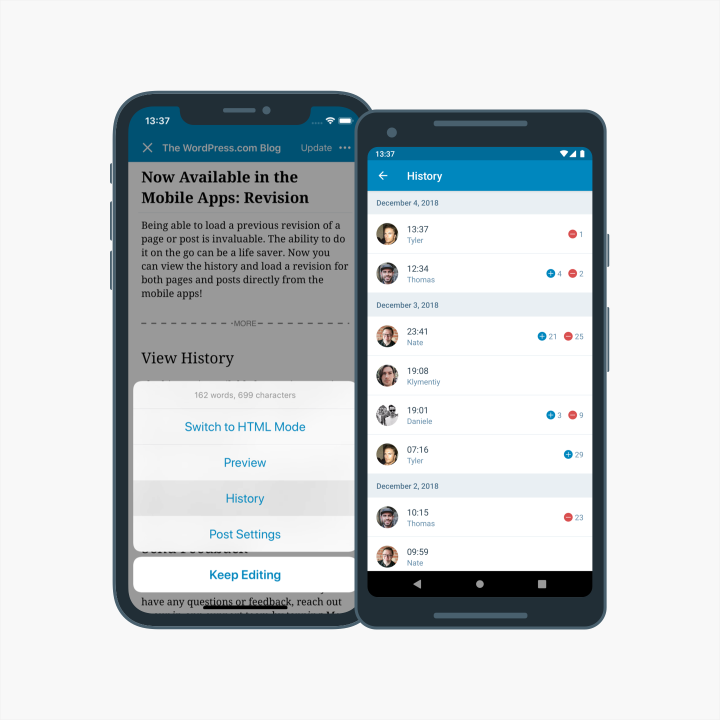 The new WordPress.com apps revision history is a free tool and it’s available on both Android and iOS.